It’s our Thanksgiving show! 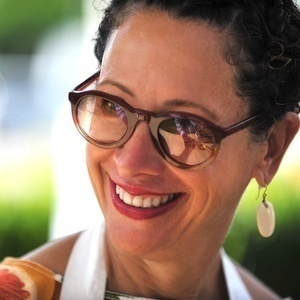 We talk to Joy Wilson, aka Joy the Baker, the popular blogger and cookbook author based in New Orleans, and Nancy Silverton, the acclaimed chef behind the Mozza restaurant empire in Los Angeles and Singapore. Joy tells us about the “Friendsgiving” that she’s hosting and her newly formed cookbook club, while Nancy shares the story behind her new cookbook, “Mozza at Home,” and what’s on her Thanksgiving table.